The machine is designed for separating water from intestines after the evisceration process. 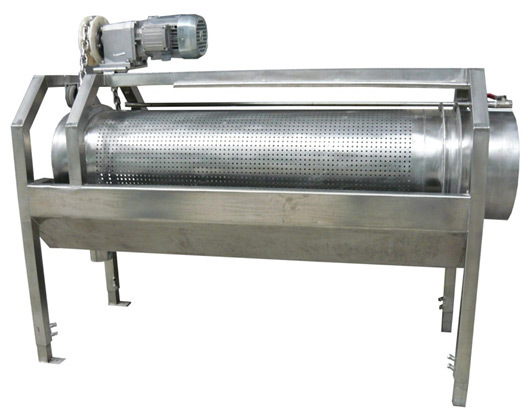 The separator is made entirely of high-quality stainless and acid-resistant materials. a drive unit with chain transmission. The separator is installed at a location which allows for direct entry of intestines into the rotating separating screen. Intestines are transported by the internal spiral of the screen towards the outlet. the drain into the sewer. Separated intestines are pneumatically transported further to the offal room. The screen is driven by means of a special chain transmission.